Home » Fluker's Screen Cover 10Gal 20x10"
Fluker's Screen Cover 10Gal 20x10"
A Screen Cover creates a secure and table environment for any pet. Made of durable metal, this unique cover withstands high temperatures from heating devices. The metal mesh screen also increases the tank air circulation, minimizing the unwanted growth of mold, bacteria and other organisms in your tank. 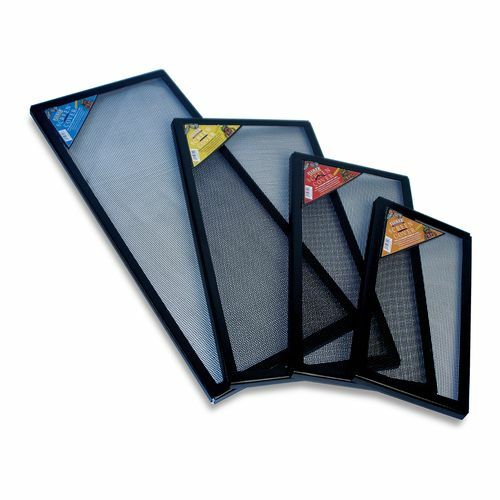 Fluker's Screen Covers are great for any terrarium to keep your reptile, amphibian, or arachnid enclosed to ensure safety and security. The screen covers are available in assorted sizes to fit any terrarium.